After sitting next to Alice Stroppel for a week, visions of faces are still dancing in my head. 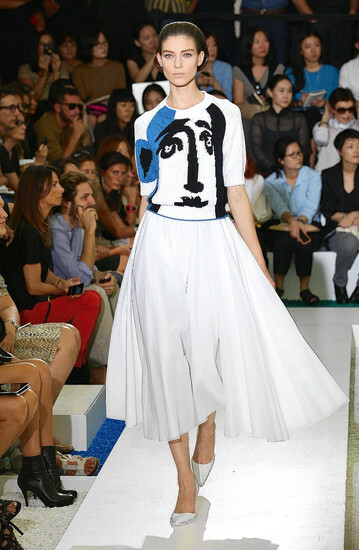 When I saw this design from the Jill Sander Spring 2012 collection, I ‘pounced’ on the idea of posting the photo…what a wonderful face!!! The fashion page of the Wall Street Journal gives her a blue ribbon for the best collection. The article also highlights some rather unfortunate misses…fun reading.